With daylight fading, keep the perpetrator in your sights with the Firefield® Nightfall 2 5x50 Night Vision Monocular. Featuring a more ergonomic, easy-grip design than other monoculars in the Nightfall family, operators can begin their viewing experience within seconds. Equipped with a power-saving PULSE IR illuminator and one of the largest objective lenses available on the market, this Gen 1 night vision monocular is the ideal device for a wide variety of nighttime applications. Its fully weather-resistant design features a modern, rubber-armored housing for exceptional durability. 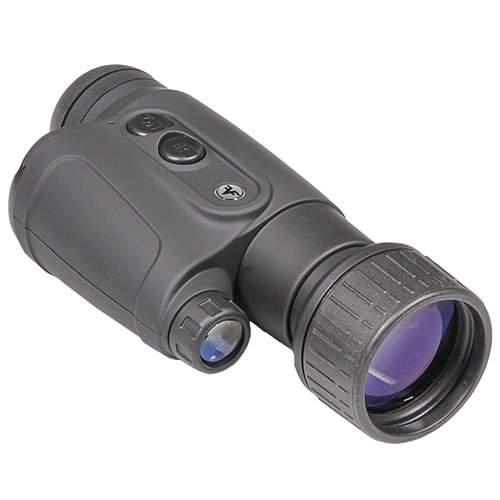 Compact and extremely lightweight, the Nightfall 2 5x50 Offers convenient operation during a wide range of uses including nighttime hunting, search and surveillance, and general observation. Delivering high quality and reliability to every intense moment, Firefield® is the key to victory!